The catastrophic living and working conditions of the orange pickers in Calabria are widely unknown to the general public. 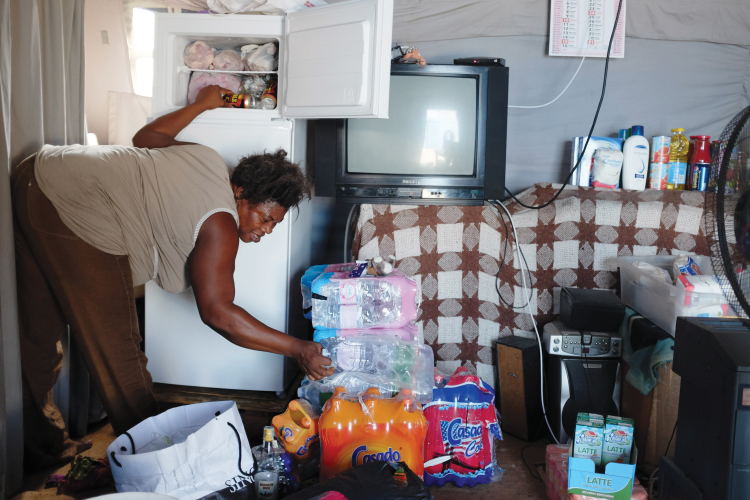 The Bitter Oranges project combines documentary photography, self-representation and short captions explaining the economic and political conditions that provide a framework for the visual ethnographic material. 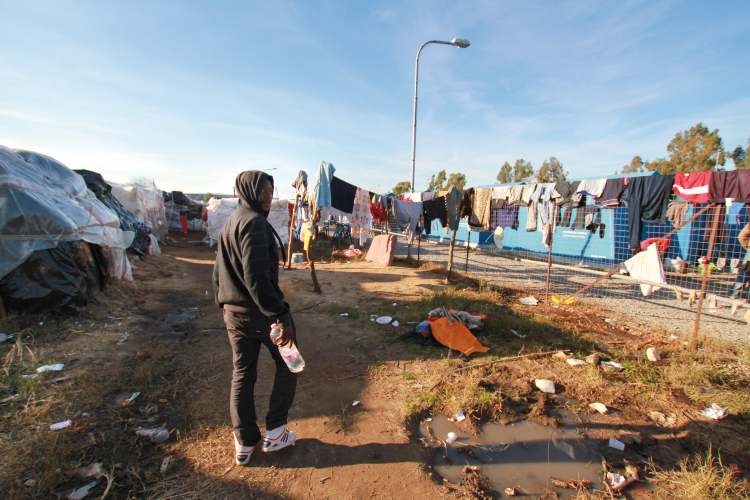 The goal of the visual ethnographic exhibition is to show the widely ignored working and living conditions of African migrants in southern Italy to a broad public all over Europe, responding to one of the urgent needs people expressed: to overcome the structural and epistemological violence of their hidden and unseen exploitation. The participatory approach of this visual anthropological study further aims at rendering »voicing« possible. Giving people who are ostracised and forced to live at the margins of European society a possibility to present themselves and give them a possibility to gain public attention, this exhibition contributes to a decolonised gaze, putting a focus on people’s agency despite the slave-like conditions that are imposed on them structurally. The Bitter Oranges project, which started in 2012, was funded by the Luxembourg Ministry of Culture, Higher Education and Research, the Luxembourg National Research Fund as well as the University of Innsbruck. It was a continuation from past research projects by the researchers on migration, precariousness and the European border regime (Reckinger 2013; Reiners 2010). It addresses some desiderata in recent sociological and anthropological research about boat migration to southern Italy by ethnographically following migrants after they were brought from Lampedusa to the Italian mainland and by trying to understand how the control of migration movements on national and EU levels as well as precarious labour markets are intertwined. The exhibition »Bitter Oranges. African Migrant Workers in Calabria« was first launched on 02 December 2014 at Abbaye Neumunster Cultural Centre, Luxembourg. It has since been shown in different places in Europe, North America, and Senegal. Thousands of boat people arrive in Italy every year, widely overstretching the access to housing facilities and state support. More and more migrants, including asylum seekers as well as refugees, are left to their own devices. To survive, they have no other choice than to seek seasonal day-to-day labour on fruit and vegetable plantations in southern Italy. 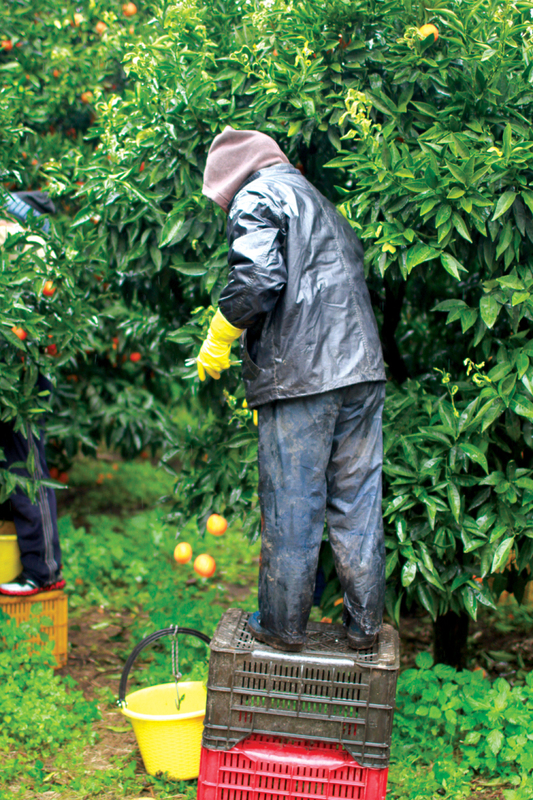 The declining sales prices for oranges in the 1990s forced Calabrian small-scale farmers to increasingly employ migrant seasonal workers from eastern Europe on lower wages in order to remain competitive. A new reservoir of even cheaper labour became available with the increasing number of boat migrants from Africa a decade later. In recent times, the situation has become even more critical with the heavy influx of refugees and the Schengen area falling apart with more and more nation states closing their borders – thus making it impossible for migrants to leave Italy. African harvest workers are hired on a daily basis without legal contracts. On average, a daily wage for 12 to 14 hours work amounts to 25 Euro. Competition is intense and most only find work a few days a month, resulting in monthly incomes ranging from 100 to 300 Euro. The mobile phone is an indispensable possession. It serves as a connection to the family, a way to share information with each other, and as a replacement for a residential address. The migrants are notified by the authorities by phone if they need to pick up or renew their documents. Often, family members who depend on the support of the migrants call several times a day asking them to send money. Photo taken by I.
Reckinger, Gilles (2013): Lampedusa. Begegnungen am Rande Europas. Wuppertal. Reiners, Diana (2010): Verinnerlichte Prekarität. Jugendliche MigrantInnen am Rande der Arbeitsgesellschaft. Konstanz. Reiners, Diana / Reckinger, Carole / Reckinger, Gilles (2016): Bitter Oranges. 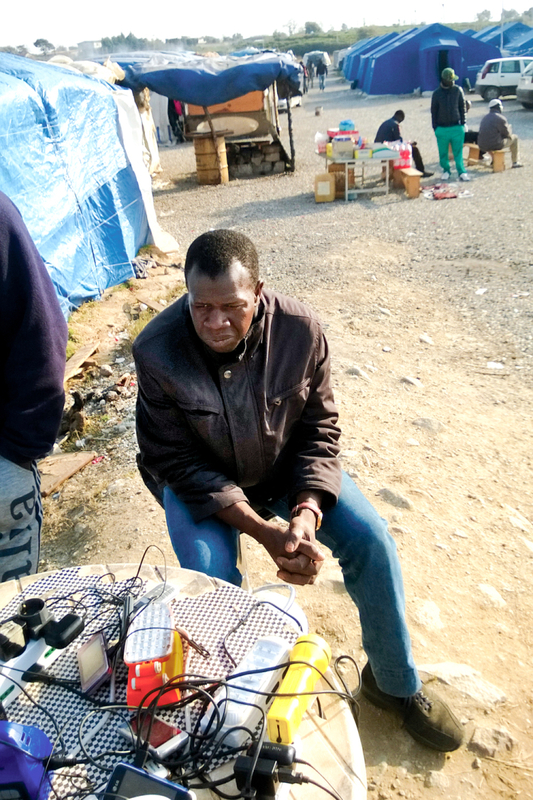 African Migrant Workers in Calabria. In: Visual Ethnography 5 (1). Carole Reckinger, MSc, arbeitete seit ihrem Studium in internationaler Politik, Südost-Asien-Studien und internationalem Recht (SOAS London) unter anderem in Osttimor, West-Papua und den Philippinen. Sie interessiert sich für die Realität derer, die von der internationalen öffentlichen Aufmerksamkeit systematisch ausgeblendet werden. Gilles Reckinger, Europäischer Ethnologe, geboren und aufgewachsen in Luxemburg, Professor für Interkulturelle Kommunikations- und Risikoforschung an der Universität Innsbruck. Studierte und lebte in Österreich, der Schweiz und Kanada. Forschungsarbeit in diesen Ländern sowie in Luxemburg, Deutschland und Italien. Von 2009–2012 mehrfach ausgezeichnete ethnographische Forschung in Lampedusa. Zur Zeit Forschung zu den Lebens- und Arbeitsbedingungen der migrantischen Erntehelfer auf den Obstplantagen in Kalabrien (www.bitter-oranges.com). Diana Reiners ist promovierte Europäische Ethnologin und freiberufliche Lehrbeauftragte an den Universitäten Graz, Wien und Innsbruck. Sie war Assistenzprofessorin für Soziologie an der Universität St. Gallen und forscht empirisch zu Migration, sozialer Ungleichheit und Ausbeutung.